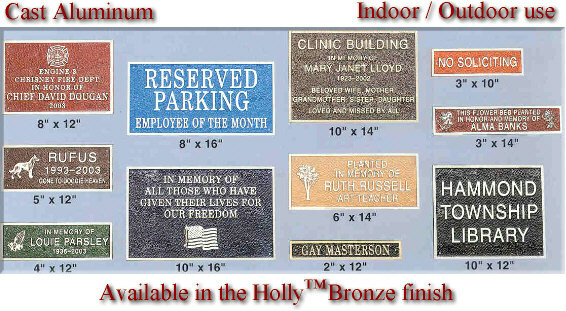 Our multipurpose plaques are available in nine different colors, with or without Holly Bronze finish, and various sizes ranging from 2" X 8" to 10" X 16". These versatile and durable castings are used for entrances, home and office nameplates, information, direction, parking reservations, etc. Our high quality aluminum castings are ideal for indoor and outdoor use. Our plaques are a full 1/4 inch thick. 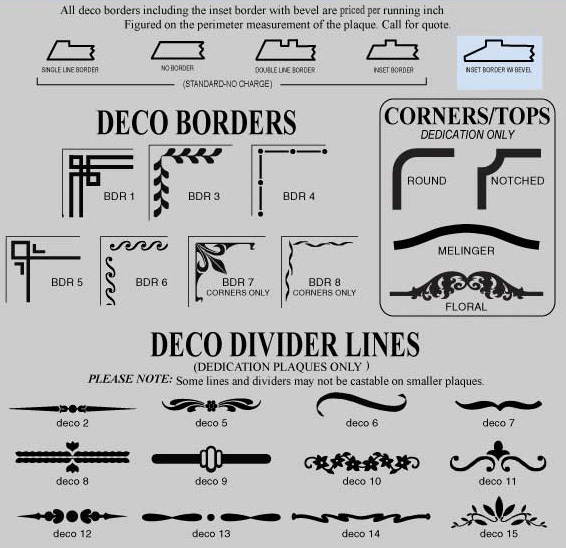 They come with screws and anchors. Holes are pre-drilled for your convenience.